Pete Rzonca is the president for Tech Data Government Solutions. In this position, he has overall responsibility for public sector markets penetration and growth. He is responsible for all aspects of this wholly owned subsidiary of Tech Data Corporation, including corporate governance, business strategy and operational performance. Rzonca has significant experience in the government space, including leading the State, Local and Education (SLED) business at a VAR and owning his own successful government-focused IT company. He joined Tech Data in February 2017 upon the completion of Tech Data’s acquisition of Avnet’s Technology Solutions division. Previously, Rzonca was vice president and general manager of sales for the Cisco Solutions group at Avnet Technology Solutions, Americas, in which he was responsible for managing the field sales organization across the U.S. to profitably drive solutions and business growth for Avnet and its value-added reseller partners. During this time, he strengthened Avnet’s relationship with Cisco and overachieved his financial goals. Rzonca, a 19-year veteran of the channel IT industry, joined Avnet from Veterans Tech, a technology reseller he founded in 2005. Prior to managing his own company, for 10 years Rzonca had a distinguished career at value-added reseller Insight Enterprises. He joined Insight as a sales manager in 1996 and rose to the position of vice president. He led Insight’s SMB business from 1999 to 2003, and then Insight’s SLED public sector business from 2003 to 2005. As vice president of the SMB business, he launched Insight’s second sales center in Montreal, Quebec, Canada – growing the business to more than $350 million per year. 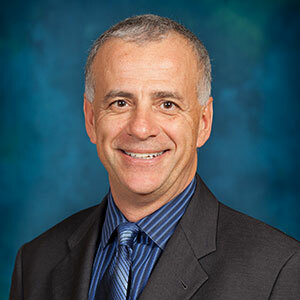 Rzonca received his Bachelor of Science in marketing from Arizona State University and his Master’s in Business Administration from the University of Phoenix. He is based in Tempe, Ariz.